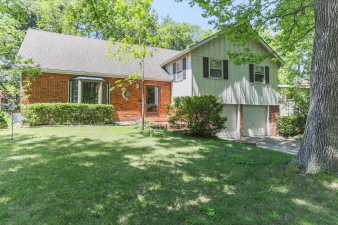 Spacious four bedroom, three full bath home in Prairie Village! Lots of space here for the price! Two living areas including family room with brick fireplace; large master suite, plenty of storage/closet space and fenced, pesticide free backyard with raised garden beds. Close to park, shopping, services and Shawnee Mission schools. You will love it! Interior Features Hardwood floors, two living spaces, fireplace, dining room, lots of closet and storage space.